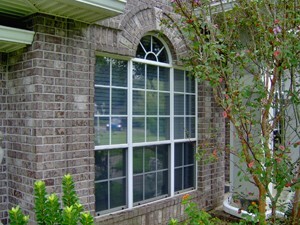 There may be many reasons why you want to replace the house windows at your Pensacola, Florida, residence. For example, your windows may not be sealing properly anymore, they may not be as energy efficient as you would like, or they just may not look good. Whatever your reasoning, turn to Majors Home Improvement for professional installations and high quality products. Improve your home’s energy efficiency – They include insulated glass which will restrict heat transfer, keeping warm air out in the summer and trapping it inside in the winter. This will mean less work on your HVAC unit to regulate your home’s temperature, lowering your energy consumption. Enhance your home’s appearance – Our windows come in multiple styles (such as bay, bow, double hung, and picture, among others), and you’ll be able to choose from various exterior colors, window glazes, hardware, and more. Be low-maintenance – Our windows are warranted against rotting, rusting, cracking, warping, pitting, corroding, peeling, blistering, and color failure. You can count on house windows that remain in like-new condition for decades. Plus, if you want to also replace the entry doors at your residence, our installers can easily complete this project while installing your house windows. Since many of our customers are often looking to have both of these home improvement projects completed, we can perform them simultaneously, giving your home a significantly improved curb appeal. So, when you need new house windows in Pensacola, FL, turn to the professionals at Majors Home Improvement. Give us a call today to discuss your upcoming home improvement project, and we’ll be happy to answer your questions and tell you more about our products and services.